Image has been converted to black and white. Color version is available.) 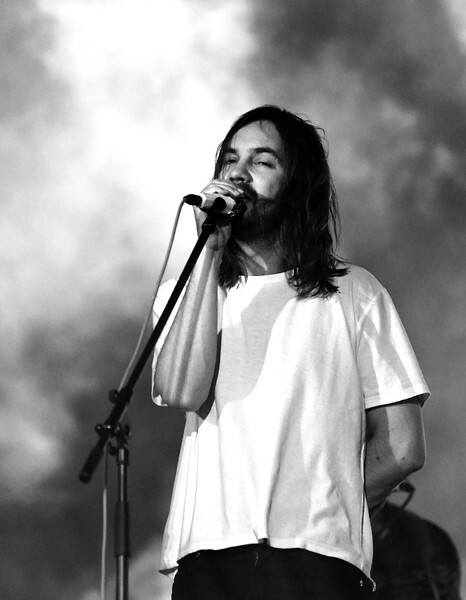 Kevin Parker Tame Impala performs at Coachella Stage during the 2019 Coachella Valley Music And Arts Festival on April 20, 2019 in Indio, California.